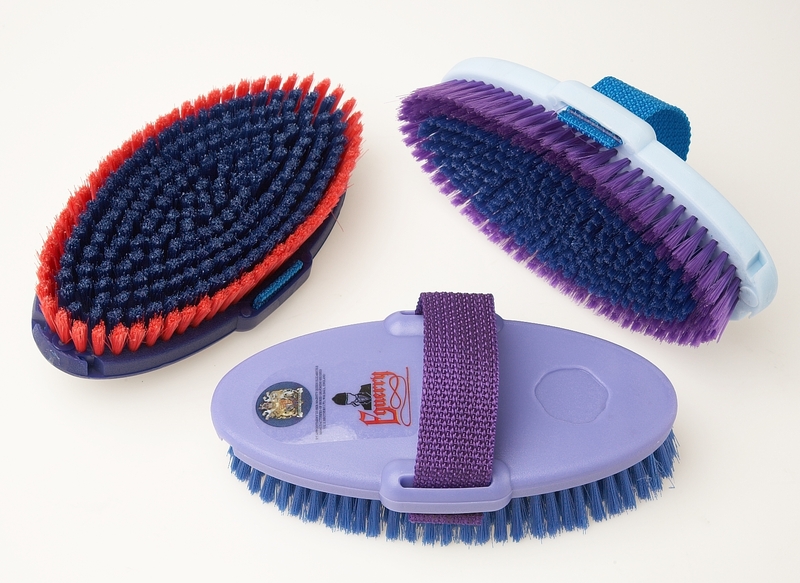 Heavy duty plastic backs with side grip plates to prevent fingers crushing bristles. Available in 2 sizes: Medium 180 x 56mm or Large 210 x 62mm. The synthetic fibre has a Y shape cross section to channel dirt away from the horse. There are currently no questions for Vale Brothers Equerry Dandy Brush - be the first to ask one!